Even more alarming is the fact that Iowa’s high school association saw 910 officials choose not to renew their registration for the 2017-18 school year. This content is presented in partnership with Whistle, a dedicated service that connects game officials with organized sports events. Participation in youth sports is part of the educational process in many ways. Very few of us go on to play sports beyond high school, but the lessons learned will last a lifetime. Sportsmanship, teamwork, and how to deal with adversity are all part of the landscape. Another vital yet under-appreciated part of that landscape are game officials. Without officials there wouldn’t be any organized sports on any level. Game officials ensure games are played fairly and, even more importantly, safely. That is why the challenge in front of us is so critical. 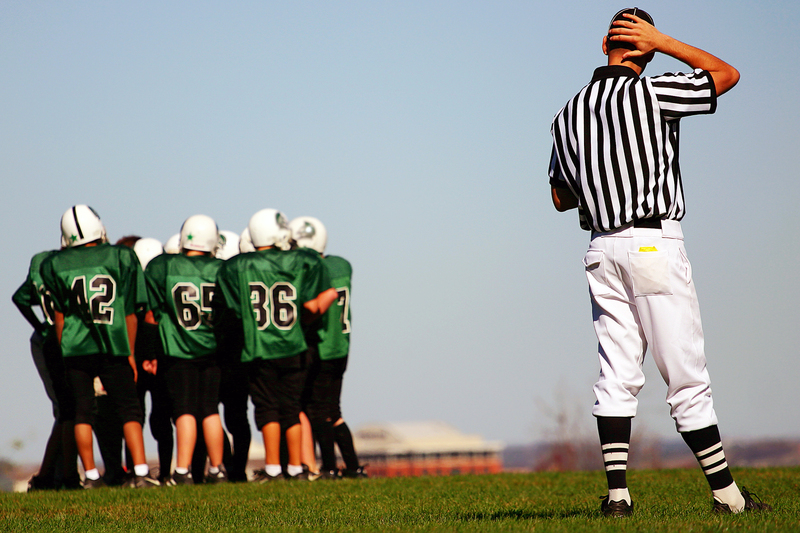 The number of registered officials across most sports continues to decline. Many states have had mass cancellations and postponements of games due to the shortage. One recent study in Iowa, a state known for exceptional participation, highlights the issue. From 2007 to 2017 there was a 12-percent decrease in its total number of registered officials across the seven high school sports that require officials for postseason events (baseball, basketball, football, soccer, swimming, track and field and wrestling). Even more alarming is the fact that Iowa’s high school association saw 910 officials choose not to renew their registration for the 2017-18 school year, and 351 of those had only signed up for the first time the previous year. The population of officials is also aging at an alarming rate. For example, 86 percent of track and field officials and 70 percent of swimming officials in Iowa are over the age of 50. While experienced officials are a good thing, without a steady pipeline of younger officials coming into the pipeline we will have a critical mass dilemma. Why the shortage? What are the issues we must address? Many young people have no idea that officiating can be a career path, and even if they are interested have no idea how to get started. A recent survey conducted by the National Association of Sports Officials that included roughly 14,000 game officials from across the country highlighted this issue. When asked how they got started 35 percent said they were approached by an official or a coach. Only 5 percent indicated they began because of seeing some form of advertisement. During my time at the NFL many young people reached out to me amount officiating and how they could get started. We must do a better job reaching out to our youth, especially our student athletes, introducing them to officiating and putting them on the right path. Another challenge highlighted in the NASO survey is retention. When asked whether sportsmanship has improved or declined 57 percent answered that it has declined, and 27 percent identified no change. When asked what level had the worst sportsmanship 36 percent responded the youth competitive level. Combining that with high school and youth recreational sports, and you have where 63 percent of the respondents landed on the question. So, let’s set the scene. You’re a young official working your first youth game. The kids are very respectful, and you are enjoying the experience. There is a close call and you are all over it. Your adrenaline starts pumping and you start to think that this is actually kind of fun. Then the yelling begins. It might be from a coach, or more likely a parent. It continues and with each play seems to become more intense and personal. As the yelling increases the chances of you continuing to officiate beyond this game decreases. Unfortunately, this is an all too often occurrence. In the NASO survey, when asked who causes the most issues with sportsmanship 39 percent of game officials responded it was the parents compared to only 10 percent identifying the players. Coaches and fans came in at 29 percent and 18 percent respectively. This is the state of affairs at the youth level and one of the main reasons for the shortages across the country. Not only must we create a more effective partnership with our schools and youth sports organizations to make sportsmanship a priority, we must provide mentorship opportunities for our young officials to ensure the retention rates do not continue to drop. Our mission at Whistle is to use our technology to connect officials with events across every level of sports and take on the many issues in the officiating world to create a better environment for everyone involved. We sent just short of 6,000 questionnaires while conducting our own market survey which 67 percent of the assignors that responded agreed there needs to be an easier way to hire and pay game officials and 63 percent stated that promoting their sports program directly to game officials is often a challenge. Game officials highlighted a further disconnect with 69 percent stating that they would like an easier way to officiate more games and competitions in their area and/or state. There are many benefits to officiating. It is a way to give back to the community and provides a unique opportunity to positively influence young people. It helps develop interpersonal skills and sharpens one’s judgment skills. You must make instantaneous decisions, handle pressure, and resolve conflicts. It’s also a way to stay involved in sports, stay in shape, make some money, and most importantly make lifelong friendships. Dean Blandino is the current rules analyst on Fox Sports and executive director at Whistle. He’s also been named the director of instant replay for College Football Officiating. Dean possesses an admirable 25 year career at the NFL where he rose to lead the officiating team as the NFL’s former Senior Vice President of Officiating with insured integrity before joining Fox Sports in 2017. Now reunited with former official and colleague Mike Pereira, Dean contributes regularly to both Fox Sports’ college football and NFL telecasts from the network’s Los Angeles studio. Whistle helps organizers and game officials get back to doing what they love, making sports happen! The service provides them with greater convenience, access and connections to centralize everything from scheduling and communication to ratings and automated secure payments.